Move your career forward without disrupting your life balance. Redlands offers attainable bachelor’s degree programs designed to fit into the busy lives of today’s working professionals. A Bachelor of Science in Management degree from the University of Redlands School of Business offers students and employers a well-rounded educational experience that focuses on the development of management and leadership skills. 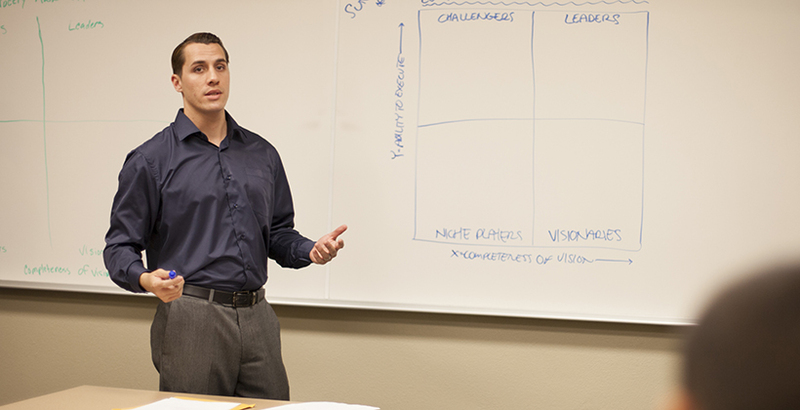 A Bachelor of Science in Business degree from the University of Redlands School of Business is designed to go beyond traditional administration or management degrees, allowing students to focus on a specific industry while providing crucial business knowledge and building advanced critical thinking skills. A Redlands scholarship and a competitive learning environment have an impact.